As you can see from this picture, the Qpad MK-85 (below) is identical to the MK-80. The only real difference between the two is what’s under the keys. As with my review of the MK-80, I think this design is really nice. It’s got a sleek look to it, with some additional features in the top right and a nice black colour scheme. 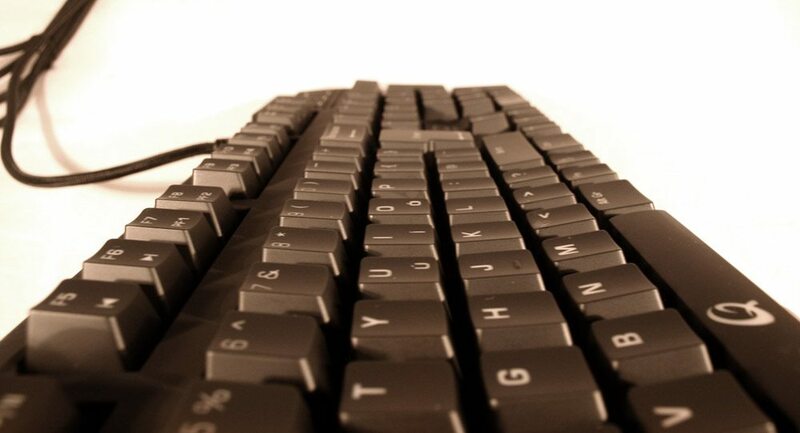 The coating is also this wonderful soft plastic that makes the entire body and the keys themselves very soft to the touch. 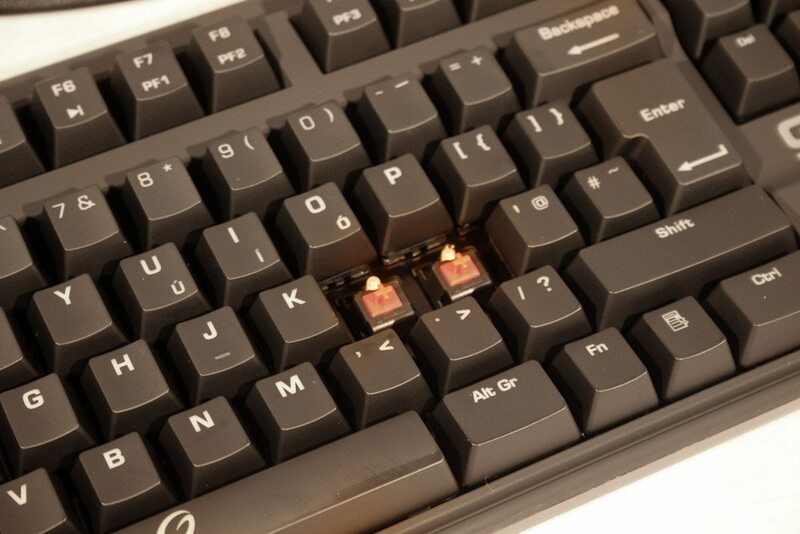 All the indicators for the keys are clear plastic cutouts to allow for the red backlighting to show through when powered up. One advantage of these beyond the lighting, is that you know they won’t rub off with extended use. Popping off the keys you can see that this keyboard does indeed use Cherry MX red switches. This is a true gamer switch similar to MX black, though has a lighter actuation force. For a great rundown of different types of switches, check out Overclock.net’s guide. 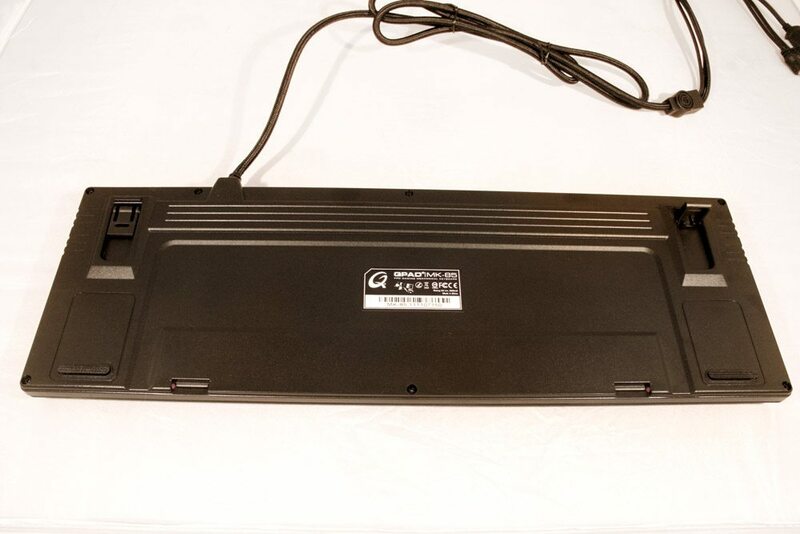 Another advantage of this type of switch is that it’s raised from the main body of the keyboard. This helps protect against spillages and means that even with a stickier substance ending up between the keys, it won’t impact the board’s ability. 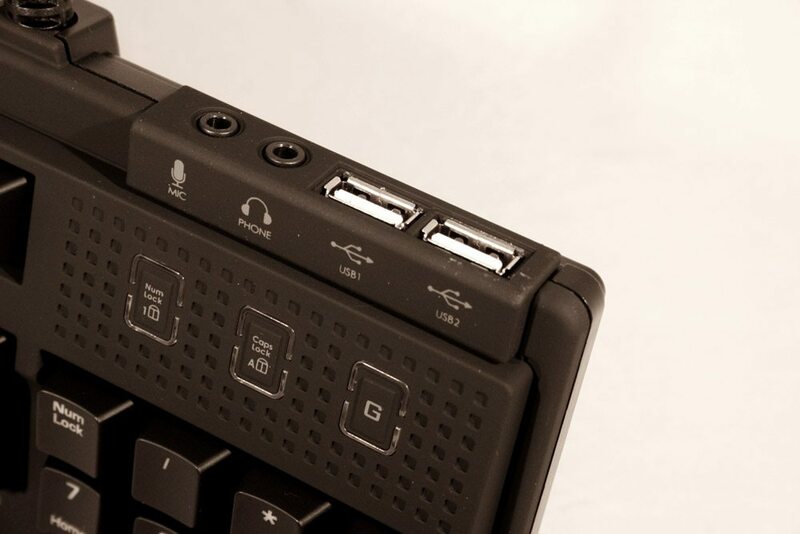 As with most mechanical keyboards these days, the first few function buttons have been doubled up as media keys. 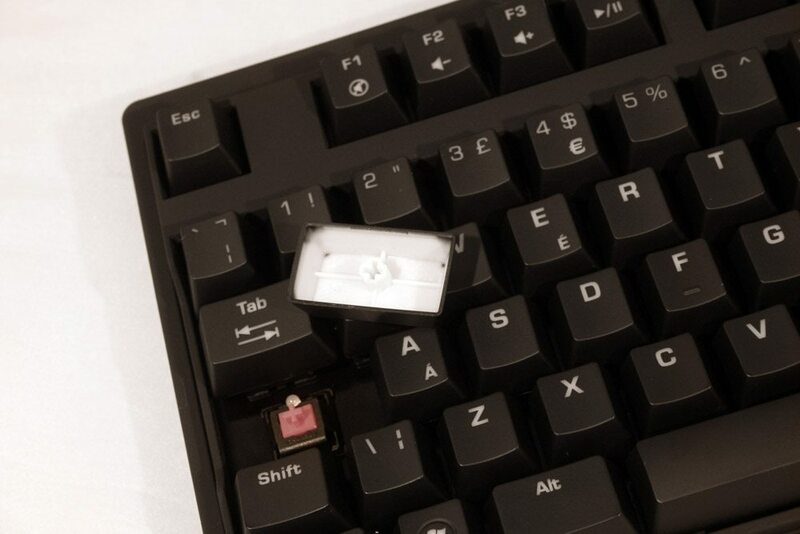 These can be activated by pressing and holding the Fn button found just to the right of the Alt Gr key. The top right, similarly to the MK-80, features a pair of lock indicators as well as a gaming mode icon. 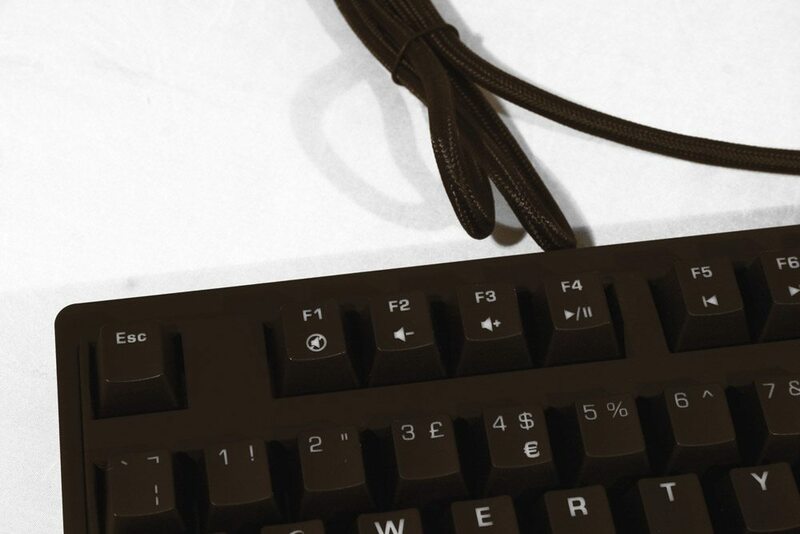 When in gaming mode, you can switch between different profiles by holding the Fn key and pressing F7 through F11. The underside of this keyboard has a couple of rubber feet to keep it in place. There’s also a pair of raising struts that give you several options for angle. 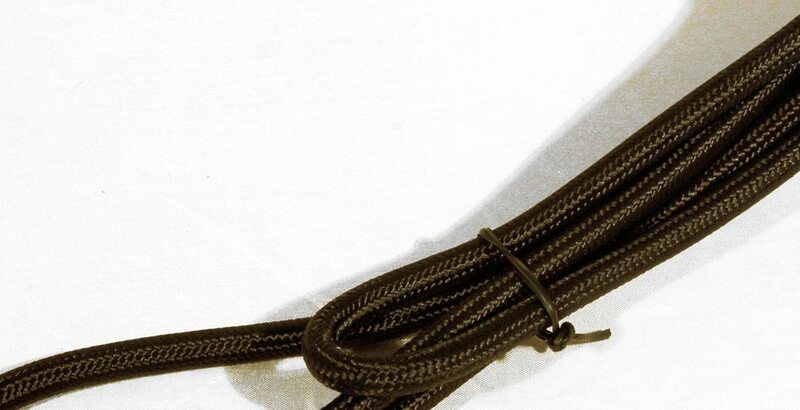 The cable for this board is a lovely braid keeping everything neatly tucked away in a single. 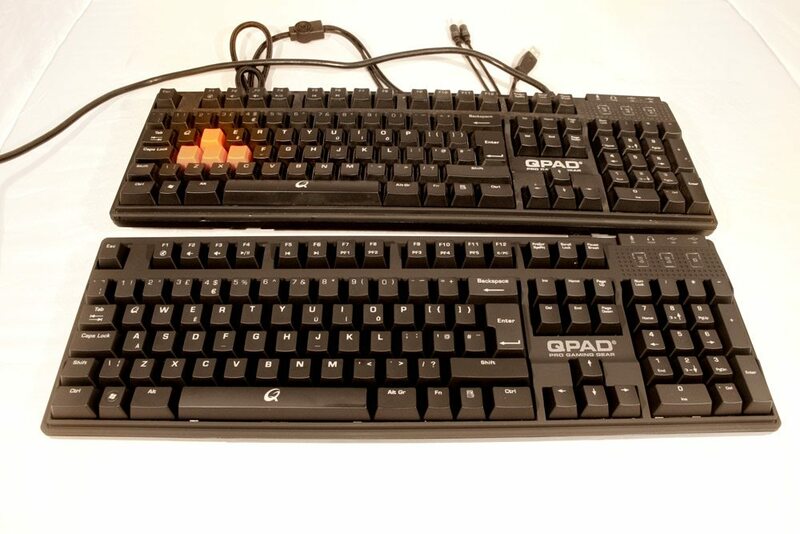 Interestingly for a gaming keyboard though, it doesn’t have a PS/2 out, just a USB cable. 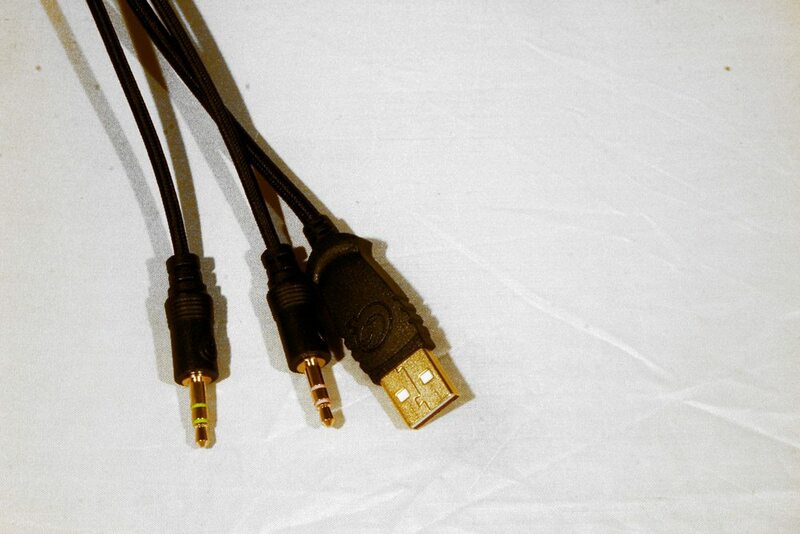 Of course you can twin this with a converter but it’s out of character with other mechanicals we’ve tested. The entire keyboard lights up if you so wish, and the lock indicators do as well with a nice red glow.